Making a move and not sure who to go to for help in (or around) the Falls Church, VA region? If you wish to avoid outfits like those two guys and a truck movers or those discount mover guys then you can choose excellence in relocation, packing, and storage services by Craig Van Lines! For over 80 years we’ve been the local or long distance movers of choice in Virginia. Whether you’re moving your stuff across the street or across the nation, our pro movers are here to help in the planning and execution of your relocation. Our rates are surprisingly competitive with other moving companies in Northern VA and 0ur rates are determined by the amount of time it takes to help you in your move, how many of our movers are needed, and the time our movers spend in getting to your home. This will all be explained when you call us for a free estimate. As your moving day looms, stress levels can be heightened. You need to start packing and then it dawns on you: “I don’t have tape or pads or anything and where the heck can I get boxes?” Relax and know that we have you covered with items such as wardrobe and multi-sized boxes, custom-built crates, tape… You name it, we have it! 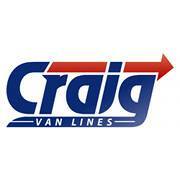 Craig Van Lines works with you to understand your specific needs to create a custom moving solution just for you. We are confident our experience and top-notch customer service will make your move stress free and successful. We are proud members of the Better Business Bureau and we have an A + rating. Dave R. came out and provided me with my estimate. When it came time for my move, Dave R., Jose, and Juan came out and provided me with the best service. They moved me quickly and professionally to my new apartment with no mishaps and no fuss. Reasonably priced, and excellent service!!! I will definitely suggest them to others and use them again! Thank you for your review. We are happy to hear that you were so pleased with the services we provided to you and that you would recommend our company, as that is the highest compliment we could hope to receive. Good luck in your new home.